Many Filmation cartoons of the ’60s and early ’70s featured songs “performed” by an animated band of characters from the show; of course, these were actually written and performed by a behind-the-scenes house band, and occasionally they scored an actual hit which got substantial radio play. The most famous example was “Sugar Sugar” from The Archie Show, but this one from the Groovie Goolies show (a favorite of mine at the time) hit #9 on the Billboard charts in February of 1971. The links above it were provided by Elizabeth N. Brown, Amy Alkon, Tim Cushing, Clarissa, Radley Balko, and Richard Ahlquist, in that order. No fun will be had. Kinda like being forced to bake a cake. wow, I remember that refrain. Sometimes I’ve even recalled it spontaneously and thought, where did that come from? Unlike ‘Sugar Sugar’, the hit version of this song (credited to Daddy Dewdrop) is not the same recording used in the cartoon. A few of the lyrics are different. But I’ve been told that Daddy Dewdrop was one of the musicians working on the show. It could very well be the same band in both versions. The cartoon actually had at least five different animated bands, but I assume they all used the same studio musicians. The Groovy Goolies had a lot of great songs– two per episode. My favourite is First Annual Semi-Formal Combination Celebration Meet-The-Monster-Population Party. I usually see it listed simply as Population Party, but I prefer the longer title. It was a weird show. Basically, it was Laugh-In, but with monsters. They even had the Joke Wall. 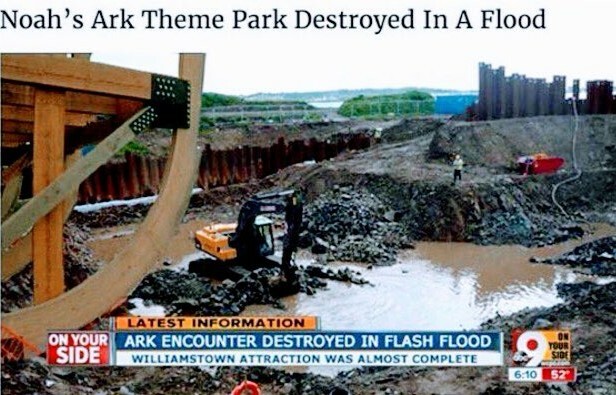 Irony and snopes: https://www.snopes.com/noahs-ark-park-flooded/ . Without this rule, the four popular boys will dance with their g/fs all night, and no-one else will. None of the girls will dare accept a dance from anything less than the top 20%, because of the loss of status. None of the boys will offer, because it would be pointless and humiliating. Back in the day, they’d just line up the boys and girls in order of height, and that’s your partner. Here’s an idea: reverse the rule an hour into the event.